When Ricky arrives home with a bad case of laryngitis, Lucy banishes him to bed. However, the Cuban is concerned about the imminent reopening of the Tropicana, and Mr. Chambers, his new boss, is counting on him to stage a good show. Ricky's throat becomes so sore that he resorts to using a blackboard and chalk to communicate. 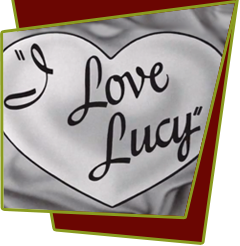 This prompts dutiful wife Lucy to contact Chambers to tell him that Ricky is in no shape to perform his duties, but before she has a chance to break the news, Chambers informs her that he is going out of town for a few days, adding "I have every confidence Ricky's going to turn out a great show!" Deciding not to tell Ricky and stage the show herself, Lucy hires "some talent that has been grossly overlooked in the past", namely Fred and Ethel. Mr. Mertz unearths an old vaudeville script, "Flapper Follies of 1927", and even manages to line up all the showgirls from the original production. At the opening of the show, Ricky is aghast when a chorus line of middle-aged double-chinned flappers cavort to his singing of "Sweet and Lovely." Fred and Ethel do "Carolina in the Morning" and Lucy scores with a ukulele number, "Mississippi Mud," and the finale, featuring ex-vaudevillian Mr. Chambers, is "The Varsity Drag" with all joining in the twenties' fun. Special Notes: The furniture "won" at the "Home Show" in the preceding episode "Redecorating" was unveiled for the first time in this episode. The Tropicana set was substantially redressed for this episode, the bandstand became more colorful for future segments. Among the aging showgirls featured in the musical numbers was Barbara Pepper, who in July 1933 boarded a cross-country train in New York with a few other young women to become Goldwyn Girls, one of which was Lucille Ball. She is best known as the first "Doris Ziffel" on the sitcom Green Acres. Bloopers: In the opening scene, listen for the error pianist Marco Rizo makes when Ricky tells him to "call Lucy and tell her I'll be home right away." Instead of responding, "Okay, Ricky," Rizo slips and says, "Okay, Des."